Many children fear going to the dentist, but this is no reason to avoid regular check-ups! Early dental health and detection is vital to your child’s health and well-being. 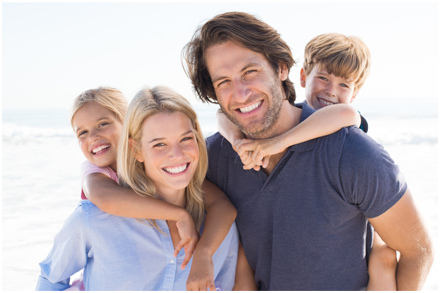 We treat children of all ages, ranging from infant to teenagers. If you’re unsure when to schedule your child’s first appointment, we follow the American Academy of Pediatric Dentistry’s recommendation for parents to arrange their child’s their first dental visit between 12 and 18 months of age. We cater to our young patients by providing gentle dental care in a fun and relaxing environment. Our waiting area is child-friendly and each child is treated professionally in a gentle and caring manner. Maintaining disease-free teeth and gums for life is a major goal of our practice. To help prevent tooth decay, we make sure our patients receive optimum fluoride exposure and we apply pit and fissure sealants when appropriate. Young patients quickly discover visiting the dentist can be fun – and mom and dad can relax knowing their child’s gums and teeth are healthy and being treated by expert hands.